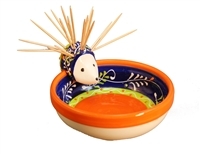 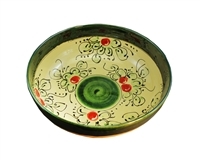 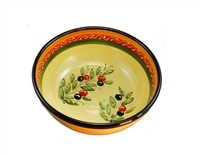 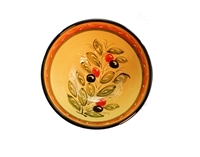 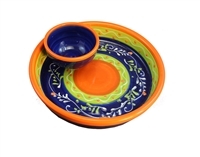 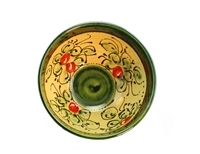 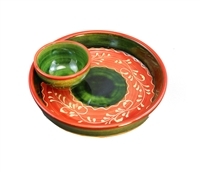 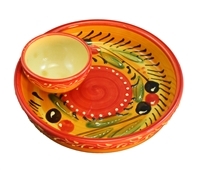 BOWL & HEDGEHOG 5.25" x 3"
The Rambla collection is hand painted in central Spain with beautiful bold colors that are sure to brighten up any area of your home . 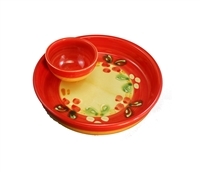 All pieces are lead free and high fired (twice) making them chip resistant as well as microwave and dishwasher safe. 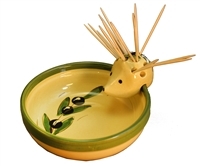 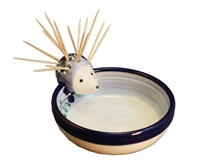 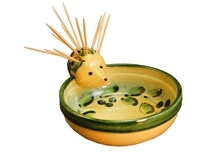 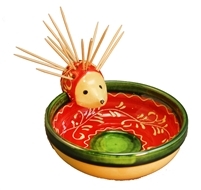 The hedgehog on the side of the bowl holds tooth picks in his back and is removable.